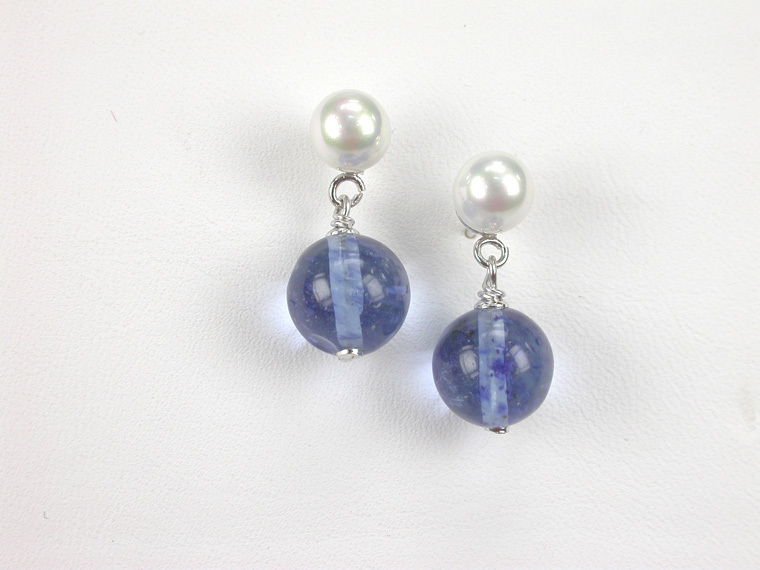 Fantasy Earrings with 8 mm pearls and blue fossil. The length is 22 mm. 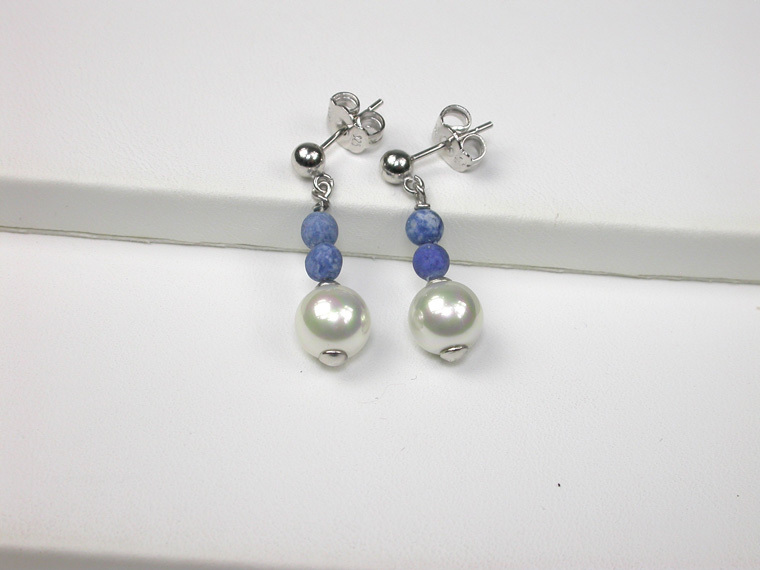 Fantasy Earrings with 8 mm pearls and blue fossil. The length is 22 mm. Presented in velvet pouch. An original combination of 8 mm Majorca Pearls in white with Blue Quartz. A perfect Gift for a modern woman. Clasp in Sterling Silver and the size of the Earrings is 8x24 mm. 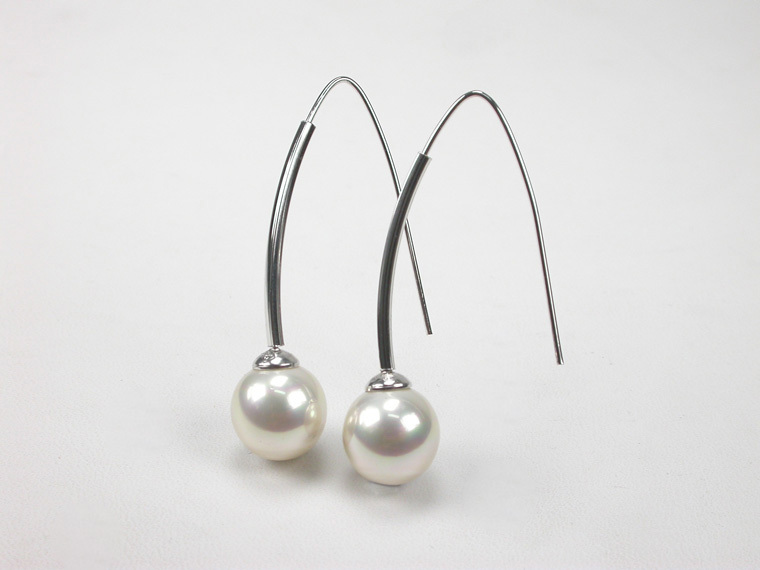 Sterling Silver pierced earrings with 4 mm pearls in a young and simple design. Perfect as a Gift! The size of the earrings is 6x6 mm. 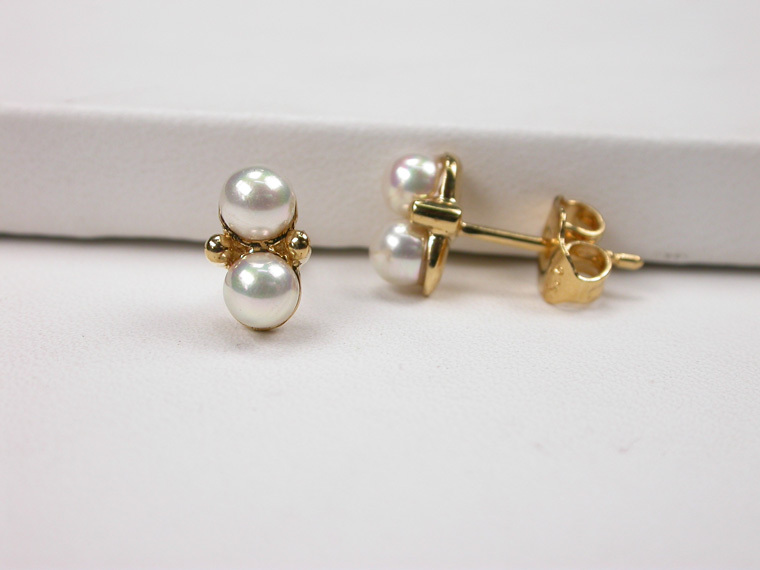 18 karat goldplated Sterling Silver pierced earrings with 4 mm pearls in a young and simple design. Perfect as a Gift! The size of the earrings is 6x6 mm. 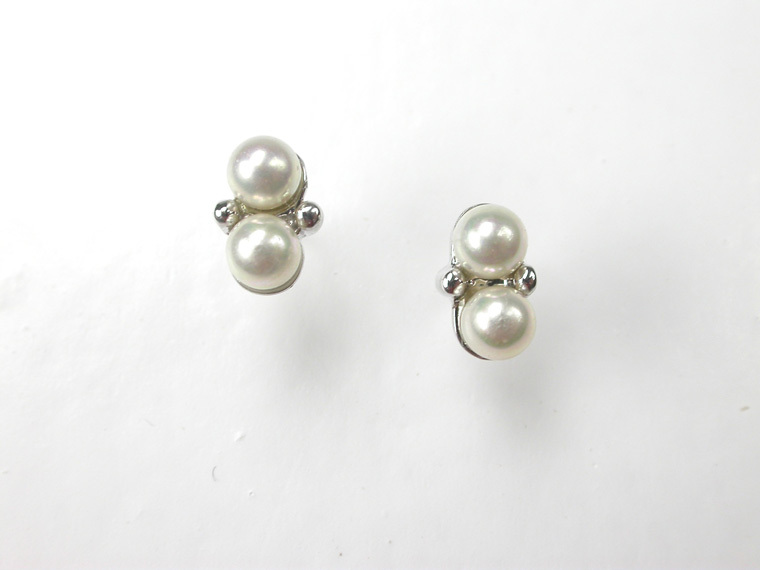 Sterling Silver pierced earrings with 4 mm pearls in a young and simple design. Perfect as a Gift! The size of the earrings is 8x5 mm. 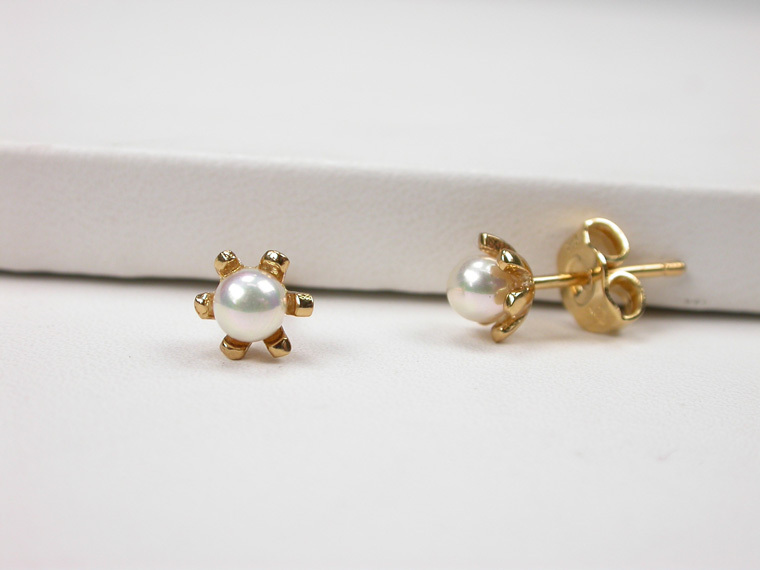 18 karat goldplated Sterling Silver pierced earrings with 4 mm pearls in a young and simple design. Perfect as a Gift! The size of the earrings is 8x5 mm. 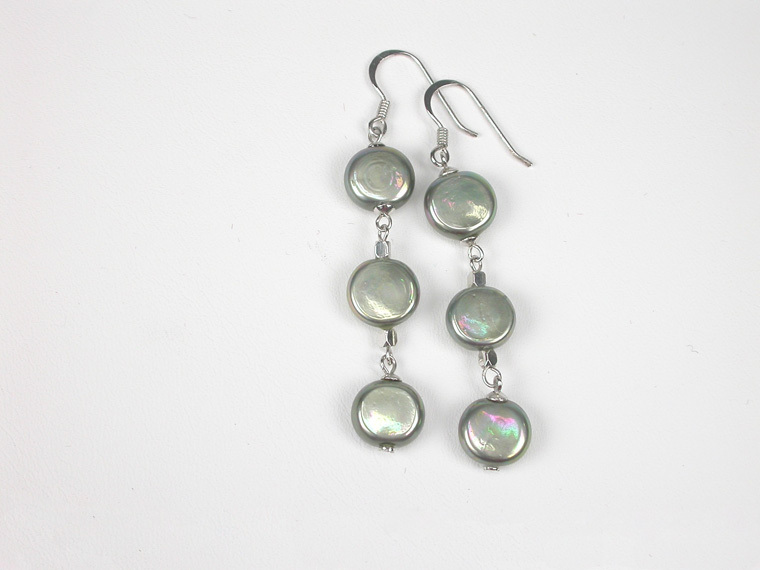 Beautiful and unique Earrings with Mother of Pearls in different shapes linked together with Sterling Silver rings. The Earrings are 42 cm. Long. Trendy hook Earrings with 10 mm. 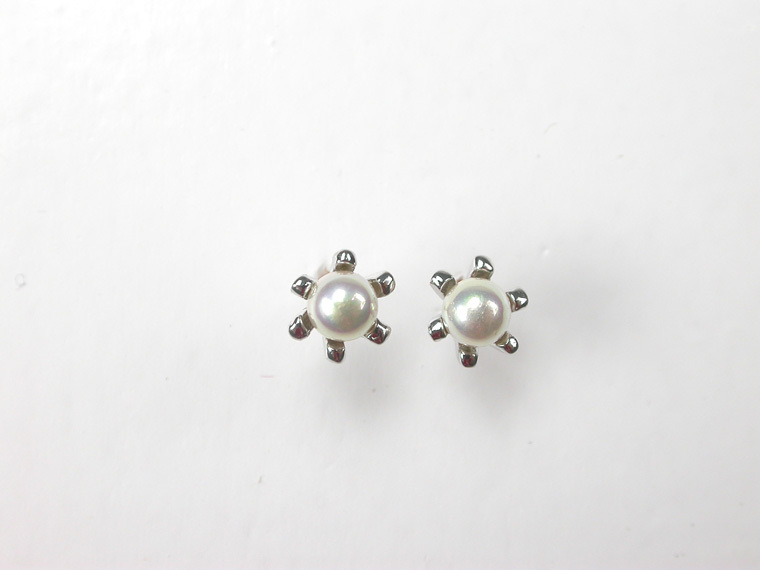 grey flat Pearls and Sterling Silver elements, transmit youth and freshness! The size is 10x55 mm. 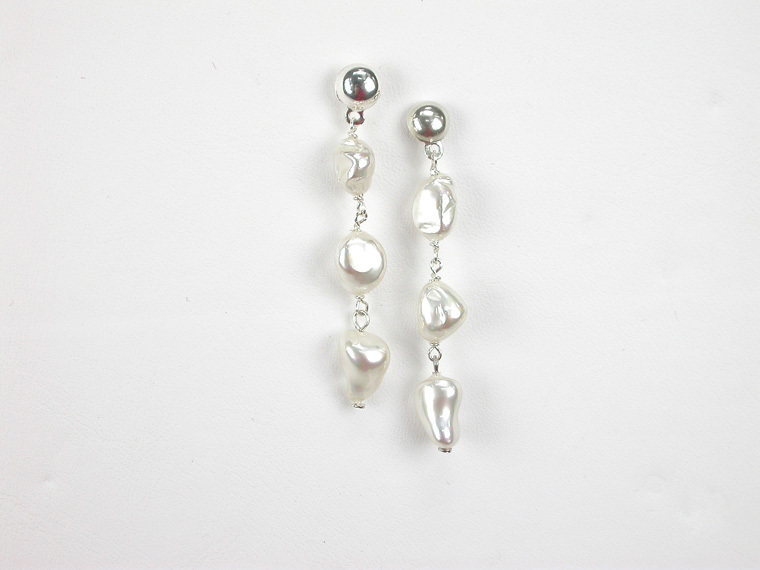 Trendy Sterling Silver Earrings with 10 mm white Pearls. Total length is 40 mm. Simply beautiful! A soft tone for a touch of sweetness! 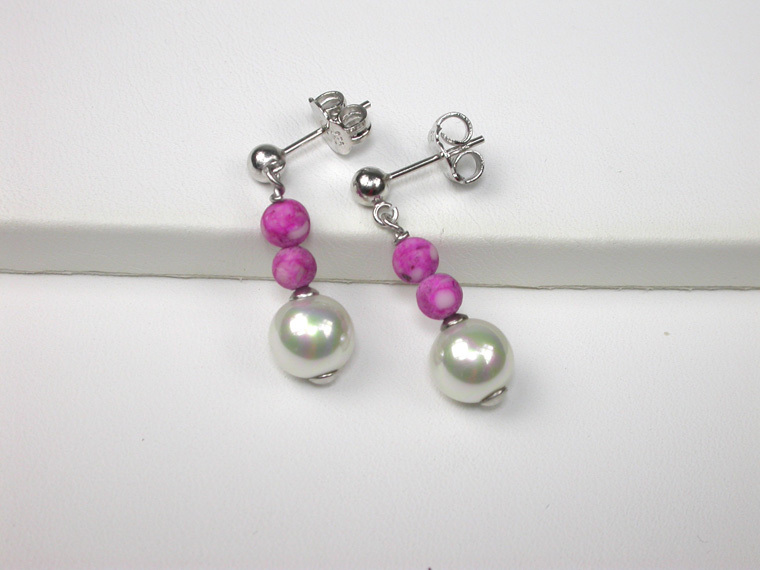 Adorable earrings with 12 mm. 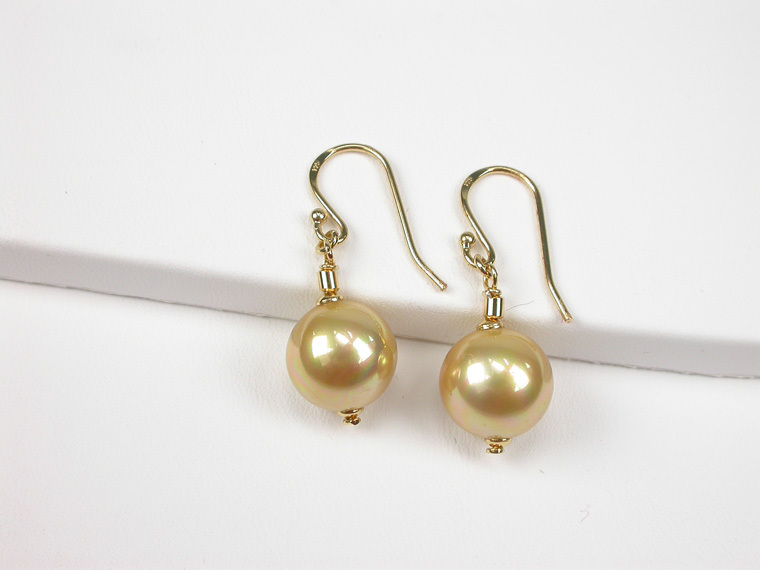 pearls in Golden nuance and mountings in 18 karat Sterling Silver. 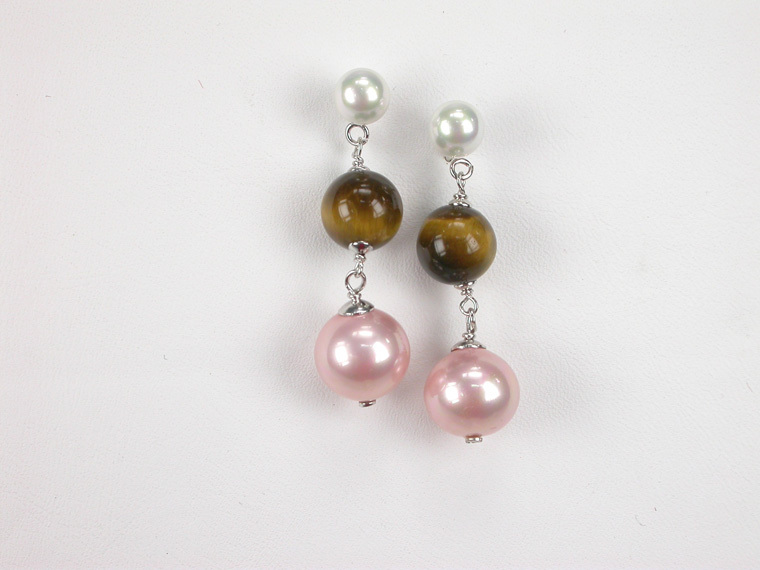 A soft combination of 12 mm Majorca Pearls in white and pink with Tiger Eye. A perfect Gift for a beautiful woman. Clasp in Sterling Silver and the size of the Earrings is 12x33 mm.